SENTECH, a state-owned broadcasting signal distributor, had a project that required a unique solution. The issue was resolved when the company selected the Newtec Dialog® multiservice platform including the MDM2500 IP Satellite Modem for 800 of its sites across South Africa. SENTECH was seeking a solution that would also grow with their broadcast industry—meeting their current needs and also accommodating their future needs as well. The partnership was enabled through African Union Communications (AUCom), a long-term, certified Newtec business partner, which is the primary contractor for this SENTECH project. The Newtec Dialog multiservice platform will provide SENTECH with capabilities for Digital Terrestrial Television (DTT) signal monitoring, IP multicasting, radio backhaul, Point of Sale (PoS) support and government disaster recovery connectivity. The migration from the current platform to Newtec Dialog will begin in November and will use standard Ku-band capacity. 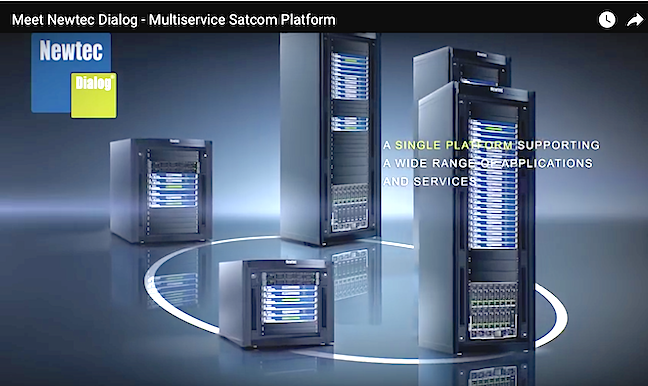 As a multiservice platform, Newtec Dialog enables tailored services and guarantees optimal modulation, bandwidth allocation, service availability, reliable automation of link set-ups and flexible workflow support, whether it is being used to provide broadcast, consumer broadband, cellular backhaul or mobility services. It also features Newtec’s award-winning return link technology Mx-DMA®, which delivers the efficiency of SCPC with the dynamic bandwidth allocation of MF-TDMA. AUCom and Newtec will be present at AfricaCom 2016 in CapeTown. For further information and to book a meeting .